It is official. 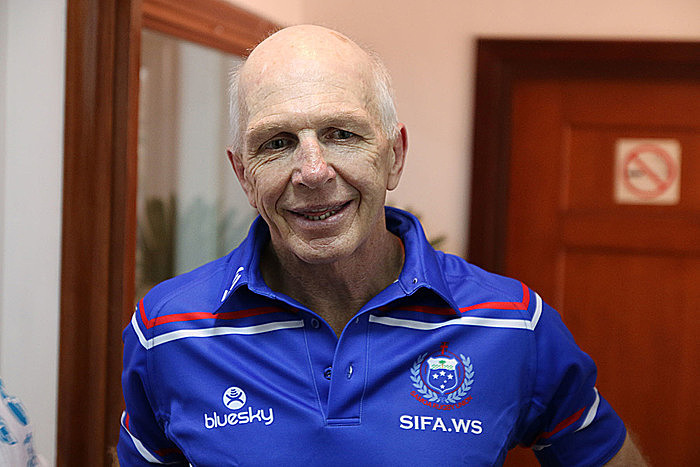 Sir Gordon Tietjens is the new coach of the Manu Samoa Sevens. The announcement was made yesterday by the Chairman of the Samoa Rugby Union (S.R.U. 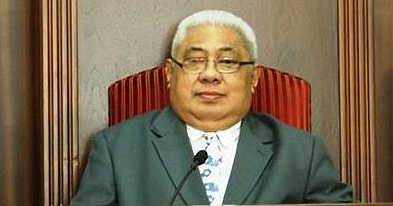 ), Tuilaepa Sa’ilele Malielegaoi, who said the appointment is a coup for Samoan rugby. Although Tietjens will not officially start until January 2017, the announcement means Samoa has won the battle for the highly sought after coach who has won just about every thing in the Sevens circle. Former Manu Samoa and Sevens coach, Stephen Betham is the Assistant Coach with Ramsay Tomokino, the new Team Manager. “The S.R.U. is extremely delighted to announce the appointment of world rugby hall of fame inductee Sir Gordon (Tietjens) as the new head coach of our Sevens team as from 2017,” Tuilaepa said. “Sir Gordon's appointment is not effective until the first of January 2017 but we plan to begin his orientation into our programme as soon as possible. “I am very humbled to be announced as the Samoa Sevens team coach starting from 2017,” Tietjens said. “It’s a real pleasure and a real honour to be involved with your country; I’ve had a passion for many years because I have coached many Samoans over the years who have been involved in the New Zealand team that I have coached. “It’s a really exciting time for me being my 23rd year coaching sevens rugby at the international level; 22 with New Zealand. I'm really looking forward to my first year with Samoa. “As a coach, I have a lot to offer the game, I have a lot of experience and at the same time I would like to think that with my position as the head coach, I can also provide a pathway for aspiring coaches in a succession plan they can learn from myself and learn from the experience in moving forward. 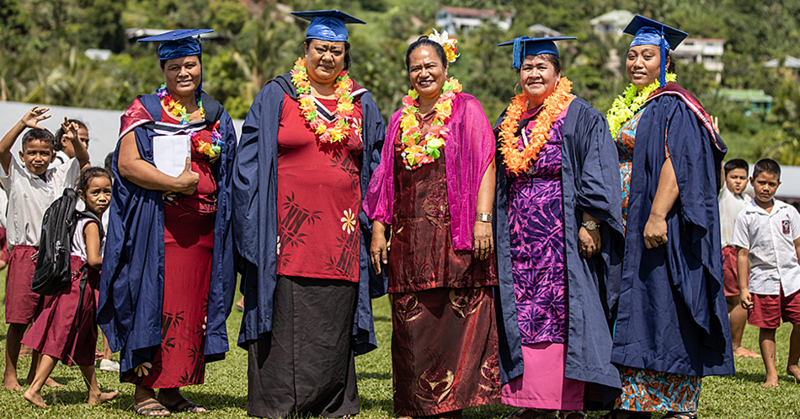 “I also believe that Samoa has a huge amount of potential to start with." One of the goals he said is to perform consistently. He already has eyes firmly fixed on big things. “Of course 2017 is the Commonwealth Games in the Gold Coast which certainly Samoa will be strong enough to win a gold medal. “And then we have the Rugby World Cup Sevens which is going to be in U.S.A. and of course what we all want to see. We want Samoa going to the Olympics in 2020, Japan. Tietjens admits that his previous view of not coaching a team against New Zealand has changed. “My views have obviously changed a hell of a lot since then,” he said. “To be fair the last 18 months coaching New Zealand, I am a little disappointed around that time with the lack of support for our sevens programme. “Even though I stepped down I didn’t want to retire. A position has come up and I am really excited by it hence wanting to obviously coach a Pacific Island team in the name of Samoa. Tietjens also explained that despite Samoa’s inadequate resources, he still has faith in his new squad. “I’m a coach and it is what it is,” he said. Asked if he is not worried about been given the same treatment as McGrath with the politics in the S.R.U, Tietjens said he is confident in his presentation towards the board. 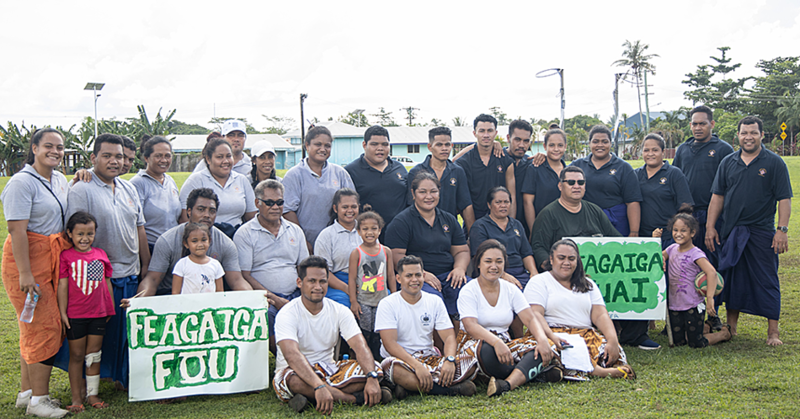 “I presented to the (S.R.U) Board and the 48 hours I have been in Samoa I have been very impressed with what I have seen and the people I have met,” he said. “I have a lot of confidence out of presenting to the Board last night (Thursday) and also the response to my presentation. Tietjens added that having the Prime Minister as the Chairman of the Union is something he would have to get used to. “I think it’s quite exciting to have someone that leads your country that’s involved with S.R.U,” he said. “It’s never happened to me in the past with New Zealand and again, all we want is a Samoan sevens team and I assure you it’s not a quick fix. “It’s going to be a gradual amount of time that we will take to select the players that you need; you look at the current identification and then you go out and perform. The P.M. defended his position as the Chairman by comparing himself to New Zealand P.M, To'osavili John Key. “The difference between me and (John) Key was that he didn’t play good rugby as I did,” Tuilaepa said.